Congratulations on the MBE for services to literature and the literary community which you received in the New Year’s Honours! In the press release you describe 2016 as “an astonishing year”: could you tell us something about what you’ve been working on? Thank you! To be honest it depends when the “year” starts. In 2016 I published The Catch (Penguin Random House), my latest collection. It’s a book about happiness, continuity, and wishfulness… I love poems that transform, or turn-around, their material in one way or another. I prefer myth to snapshot, and music to lecture, to put it another way! Also, the poems in The Catch are entirely in strict form: single sentence poems, in which every line has a regular number of stresses and each line must make semantic and musical sense. None of those chopped-up prose clunky line-breaks, the kind I think of as North American, with conjunctions or prepositions bulging from the ends of lines under the weight they have to bear… Oh, and not regular metre but the springiness of speech-rhythm: to put it another way, not regular feet but regular numbers of feet. I always think technique should bury itself so that it becomes incorporated, its effects subliminal rather than disciplinary. Then Lyric Cousins: poetry and musical form came out in the autumn and was lots of hard work. It’s hard to be technical and write for a general reader at the same time. But I believe one should: it’s like teaching, even at the highest level: one should seduce in the telling! Lyric Cousins looks at musical forms (not, initially at least, at song metre but at forms prior to that, including breath, chromaticism, density) and how they work themselves out in verse as they do in music. I used to be a musician, so of course the topic interests me: but I also believe the links and similarities are highly pertinent for both poets and composers. I think, for example, that the grammar of a thought – of any thought – is limited to phrasal breath-length. These are ideas I started to develop when I was invited to give the Newcastle Lectures by what is now NCLA. Those three lectures are now expanded into a monograph. Unfortunately, this book is published by the very fine Edinburgh University Press, which means it’s rather expensive. I’m hoping the kind people who tell me they want to read it (perhaps they’re hinting that they’d like a copy – but it’s so expensive I can’t afford to give any away, which feels mortifying -) will order it from their libraries…! Then 2016 also saw a couple of books in translation. Coleshill came out as Kolshil in Bosnia and won a prize, the Slovo Podgrmec; and The Catch came out as Volta in Romania. And then, this January, The Catch came out as Da Potopa – On the Brink – in Russian. You’ll notice that its title doesn’t tend to get translated “straight”: that’s because the multiple meanings of “the catch”, including a round-song, get lost in translation. Which is a fascinating topic I’d like to talk more about, if we have the chance. What I’ve been busy working on this year are two prose books – and a poet-to-poet translation research project. The books are Limestone Country, published by Little Toller in May, which is about how a particular geology produces a particular ecology and so particular ways of life: my emerging interest in writing about place is definitely an interest in how humans live in and change and are changed by the natural environment. Then, next January, my new psychological biography of Mary Shelley is published by Profile for the bicentenary of Frankenstein. It’s called In Search of Mary Shelley: the girl who wrote Frankenstein and in it I am trying to take on the Romantic project itself and, without any fictionalizing, to excavate all that we can know about what sort of person Mary was, and how she experienced things, from the record which – just because she was a Romantic – she kept in letters and journals as well as in her published writing. As well as writing and reviewing, and teaching and researching at the University of Roehampton, where you’re the Professor of Poetry and Director of the Poetry Centre, you will be Ledbury Poetry Festival’s poet-in-residence 2017. The Festival turns 21 this year – a coming-of-age of sorts. How would you describe its place in the constellation of poetry-related events and projects in this country? The Ledbury Festival is now one of the leading English poetry festivals: alas, a few years ago Arts Council England axed the funding to the Aldeburgh Poetry Festival, which was magnificently independent in spirit. Poetry International at the Southbank Centre in London has somewhat disappeared into their general fine programming; it waxes and wanes. Scotland has StAnza in St Andrews, which is truly international. 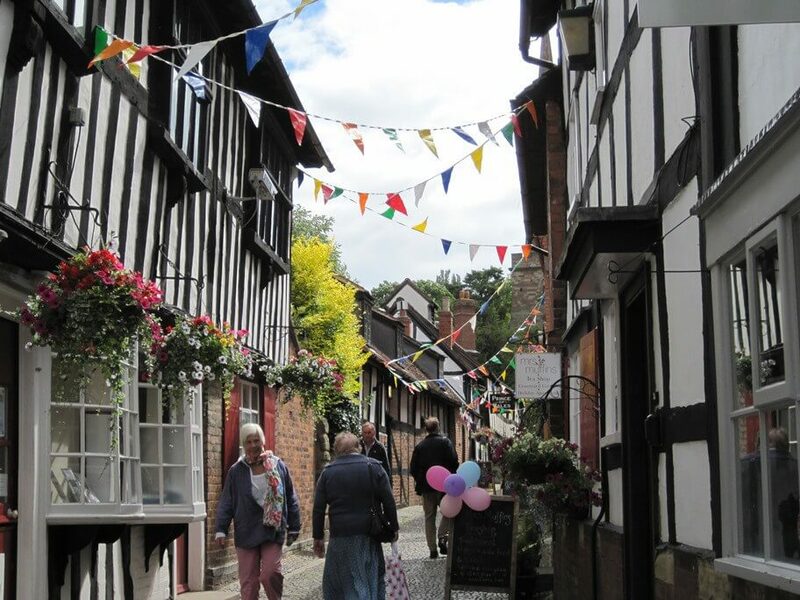 But Ledbury is now consciously moving further, as I understand it, into internationalism. It’s always celebrated both national and international poets, so I think this is very exciting. Actually I founded an international poetry festival in Aberystwyth myself, just before Ledbury was founded; from which I know that in those days festivals were not the fashion. Ledbury had tremendous vision. There’s something very important about bringing work of real artistic excellence out of London, and particularly into the countryside. Visual artists have long moved out of London to find the space and affordability in which to make their work: think of the St Ives school, or Capel-y-ffin and Eric Gill. Musicians too: the wonderful British composers of the twentieth century and on, from Edward Elgar to Harrison Birtwistle, from Benjamin Britten to Michael Tippett, have lived and worked outside London. But publishing is very metropolitan, which means that British poetry has for too long been largely a village of Londoners (not a paradox, oddly). So festivals, which take on the European model of going out into the countryside to be festive, are a really important part of the calendar. They come in all shapes and sizes, from the wonderful new Kendal Poetry Festival which kicked off last year, and is intimate and genuinely suffused with enthusiasm, to Edinburgh Bookfest, where I’ll be later in the summer. As the programme indicates, you’ve brought together a number of wonderful initiatives at this year’s Festival – I’m particularly excited about the spotlight on Romanian Women poets. What new spaces or conversations do you think these projects will open at the Festival? It’s been lovely to curate two international events. I’m so grateful to Ledbury for the chance to do so: especially without having to raise the money and do the admin, which is usually the price of such plans and dreams! I’m a huge fan of internationalism. I simply think it teaches one that there are other ways of going on… You might think that’s obvious in a culturally diverse country such as the UK, but I think that even our most culturally diversified individual poets get co-opted into the little-London mentality. And that’s such a shame. It’s surely provincial to think anywhere is the centre of the world, in our global society. You’ll be judging the Ledbury Poetry Festival’s Poetry Competition. Could you shed a little light on what you look for when judging competitions and prizes? I think that competition judging is like editing: you have to do it in a spirit of utmost integrity and enthusiasm. You have to be looking for the best work, and to feel a leap of enthusiasm when you discover it. You have, also, to feel that you are opening a door rather than closing one; and you have above all to make your selections bearing in mind, and against the grain of, your own prejudices. You have to have a thick skin and just know that even if you make mistakes, you did so by accident, and in good faith. I’ve done quite a lot of judging, and have come to the conclusion that prizes are a necessary evil. They’re not what poetry is about; but they can help poets thrive. At the moment I Chair the annual European Lyric Atlas award in Bosnia, and this year I’ll also chair the annual Roehampton Prize: it’s for the best single collection published by someone of any nationality who is living and working in the UK at the time of publication. An attempt not to close down our reading borders but to support on-the-ground British poetry practice when the main prizes tend to get won by foreign “stars” who come in, grab the goods and disappear… In recent years I’ve found myself judging a number of prizes, of course always with different combinations of co-judges (the Eliot, the Forwards, the Independent Foreign Fiction, the Ondaatje, the Griffin, the Irish Times Impac, etc). It’s a form of service to the poetry community, it seems to me. To do it properly and actually read all the submissions, I mean: which too many, to my astonishment, don’t. It is a lot of reading, judging a book prize: but you shouldn’t do it unless your attitude is Wow, I get to read all the books published this year for free rather than Oh no, all these books to read. This all sounds like a form of outreach. Do you see a relationship between community work and art practice? My own relationship to poetry was forged by community work. I was an early developer of poetry in health and social care; a practice in which you work constantly with people in tough places, sometimes in extremis. It’s a huge privilege and fascinating as well as moving. It taught me how people with absolutely no background interest in poetry are moved by the Real Thing, and understand its relevance at the great moments in life: indeed, need it then. That has shaped my writing, editing, and promotional practice ever since. It’s also why I was a mature student – I wanted to articulate what was going on and why I thought this was the real deal in the same way as high art. It was why I did a doctorate in applied philosophy of language. I ended up writing numerous papers and chapters and eventually books about it. Poetry isn’t for a game of competition and ego. It’s for being the Real Thing. Have you, then, found your style or process changing as a result of working with others, or on similar projects? I love collaborating! The poet-to-poet translation project I’m working on right now with the poet Bill Herbert and the translator Francis Jones is a two-year AHRC-funded research project into what happens when poets co-translate. In the project we’re using intermediary, literal translators too, and working in trios. As well as measuring and examining, we want to mark out and celebrate this practice, which tends to spring up organically – indeed, chiefly at international festivals and fellowships. Poets meet each other, love each other’s work, and decide to collaborate. I’ve also worked a lot with composers, naturally; and with visual artists. At the moment I’m working with a Swedish landscape photographer, Jan Peter Lahall, on a project about our environment – it will be an exhibition and an artists’ book. I think some poets and artists really love collaborating: Jan Peter for example has already worked with a Swedish and with a Ukrainian poet. So to sum up, if poetry is to have a place in our communities and our lives, how can we best bring it into the limelight? We have to keep the faith. We have to remember the real reasons for doing it, and return to them over and over. In the long run, that is what will ensure we have something good and real to hand on when the culture shifts again, and shifts towards more poetry (the way it is in many other countries right now). And I think we have to keep the circle widening, so to speak. Not contract into defensiveness, lack of interest in international or new poets, and a refusal to engage with the wider community. We have to keep doing it over and over… in tiny local libraries in the UK as well as on prime time TV abroad, to kids in schools as well as on Radio 4 audience. The full festival programme will be available from Wednesday 26th April on the Ledbury website here.